It’s been a little while since I’ve received a subscription box; I remember when they became a big deal a few years back and I subscribed to just about every beauty box out there at some point (I even worked for one of them!). I decided that the Be Kind by Ellen Box would be the perfect place to jump back in and give them another go and to see where these boxes have gone in the last few years. Ellen launched her box towards the end of last year as a way to share some of her favourite things with her viewers and to help inspire people to do good. Each Be Kind by Ellen box has a different focus and many of the brands included in the box have made a donation or contribution of some kind to make the world a bit of a better place. This season’s box is focused on helping out the gorillas. Ellen’s wife, Portia, set up a conservation fund in Ellen’s name for her 60th birthday and she decided to continue on with that theme in this box. Alex & Ani and Cheerios both made donations to The Ellen Fund to help build a new campus for the gorillas. 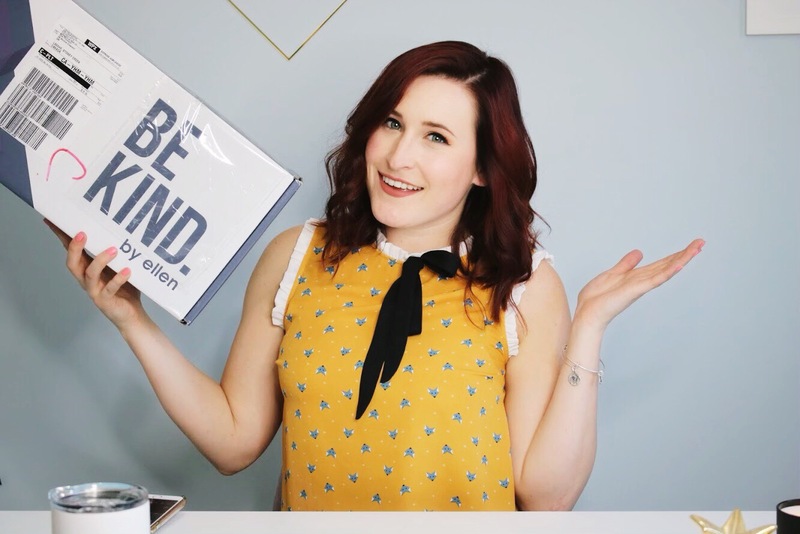 What do you think of this season’s Be Kind by Ellen box? What other subscription boxes do you enjoy?